Unless you have a vehicle waiting at the other side in Nasugbu, Batangas, traversing Pico de Loro is logistically challenging. There's no regular public transportation plying the route, and if ever there is, it is costly. 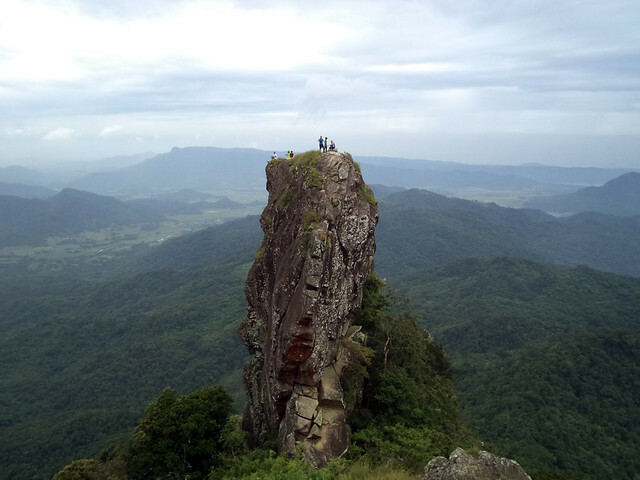 That's why not many does a traverse of Pico de Loro. Well, this was the story before Kaybiang Tunnel was completed at the foot of Mt. Palay-Palay. 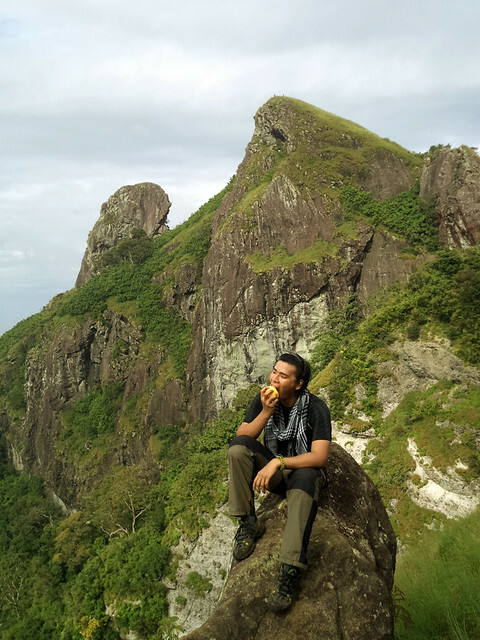 Upon learning that Kaybiang Tunnel has been passable for quite some time now (it was inaugurated last July 2013), I hastily and excitedly organized a day hike in Pico de Loro. It was actually because of the tunnel that I'm doing a traverse, finally. With the new Southwest Integrated Bus Terminal System, we headed to Coastal Mall Terminal early in the morning of a Sunday. 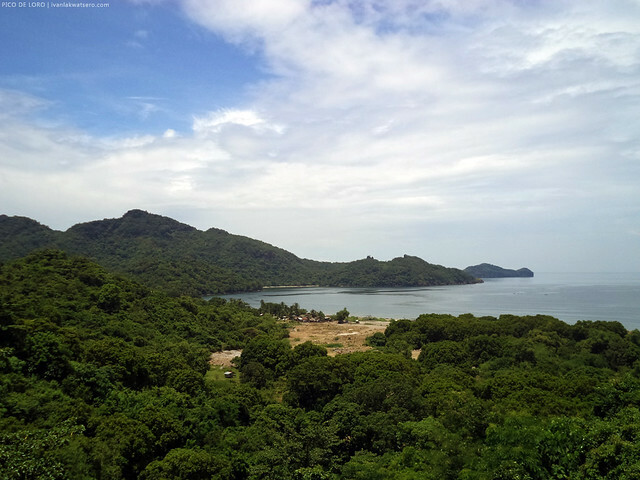 We're bound to Ternate, Cavite for a quick traverse dayhike of Pico de Loro. I've hiked the mountain twice, but only now that I'm doing a traverse, so naturally, I am very much excited to see what's waiting for me in there. at Southwest Integrated Bus Terminal in Coastal Mall. 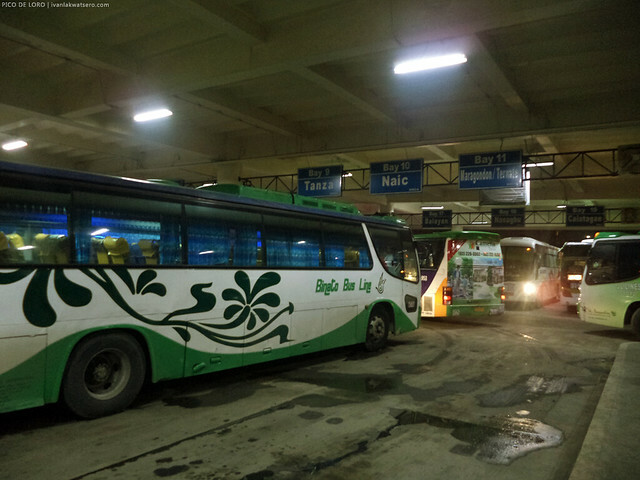 All the bus bound for Cavite and Southwest Batangas are now stationed here. We left Manila by 3:40 AM and arrived at Ternate after about 2.5 hours. Then from the terminal in Ternate, we hopped into a tricycle en route to the jump-off at the DENR station. There, we registered and then right away, started off with our trek. The trail up to the famous peak did not change a bit from the last time I walked over it several months back. 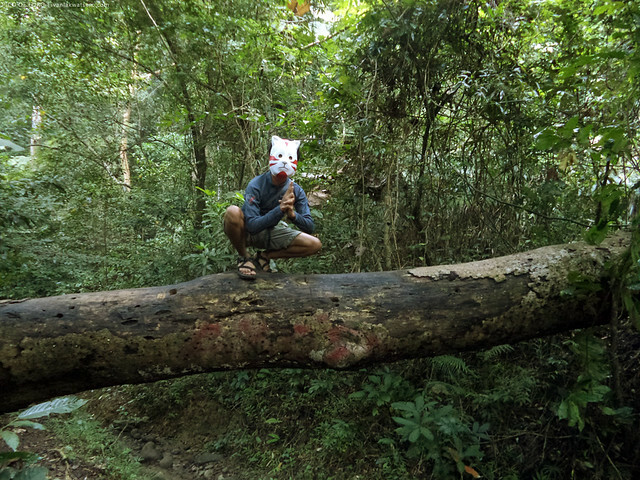 A straight forward trail through the woods, followed by the Alibangbang tree which marks the start of a considerable steep assault. The bamboo forest then comes next, and then finally, the saddle campsite. It took us roughly 2 hours from DENR up to the campsite. The campers, who obviously have just gotten up and were busy preparing breakfast, greeted us as we arrived at the saddle campsite. It was only 8 in the morning, maaga pa! Taking a few minutes break won't hurt the itinerary. Time flew so fast and unnoticed. We thought we rested only for 5-min but upon checking, an hour had passed already. Napasarap pala yung piktyur-piktyur namin. Having realized this, we carried on towards summit.We ascended the very steep trail, passed by the weird-looking wood carving, and finally, the summit. the Rock Tower, or famously known as the the Monolith as seen from the summit of the mountain. 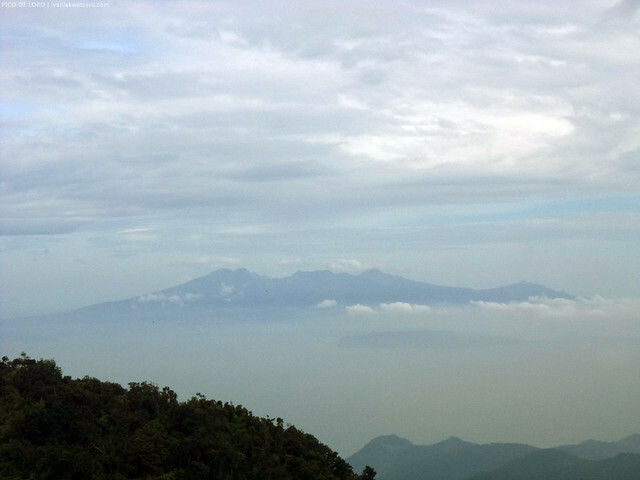 With a very clear sky, we all shared a splendid view of nearby peaks and snaking coastline at the summit. To the south, there were Batulao and Talamitam, whereas to the north, there's Mariveles Mountain as well as the historical Corregidor Island.. 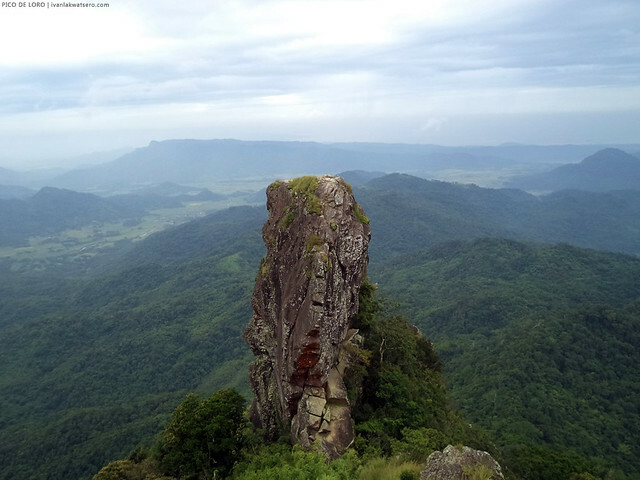 Climbing up the rock tower or "monolith" is a must when hiking Pico de Loro. 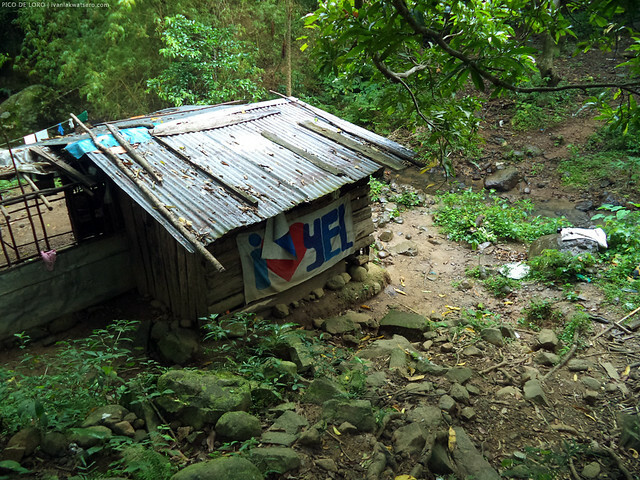 Traditionally, this is done so to say you completed a Pico de Loro hike. So before we went for the traverse trail, we scrambled our way up the top of the rock column. it's easier with the rope. I've experienced climbing it without one. there they are, at the top of the monolith. 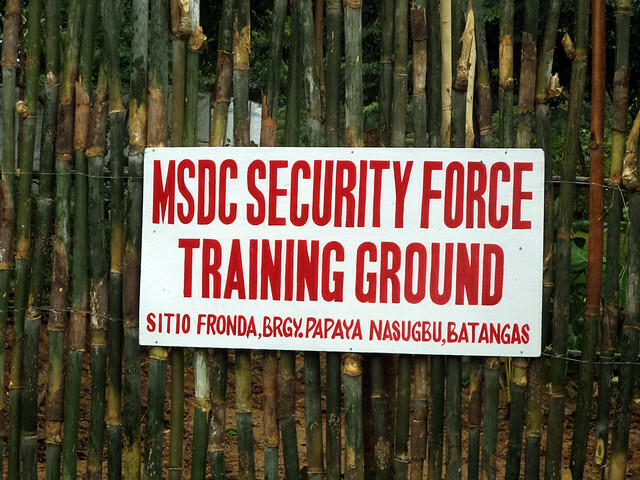 As soon as we finished taking photos and selfies at the rock, we continued with the day's goal—traverse to Nasugbu. We descended the trail found at the foot of the rock tower. 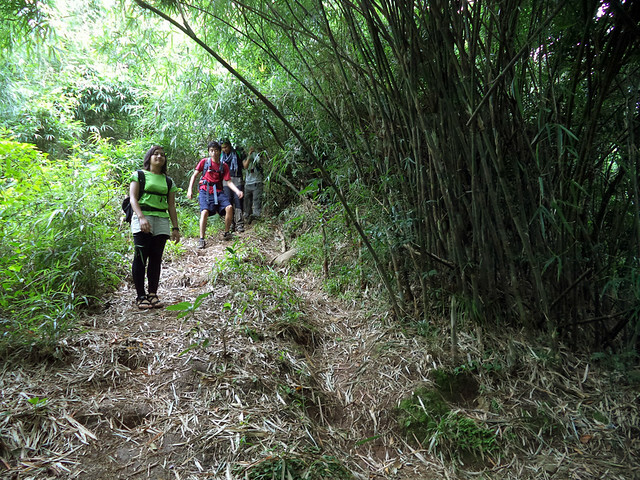 I was surprised that the first few meters of the trail, starting from the foot of the monolith down to the bamboo forest, was overwhelmingly steep or almost vertical. And the loose ground makes it slippery. It was also quite overgrown for the obvious reason that only a few uses this trail. 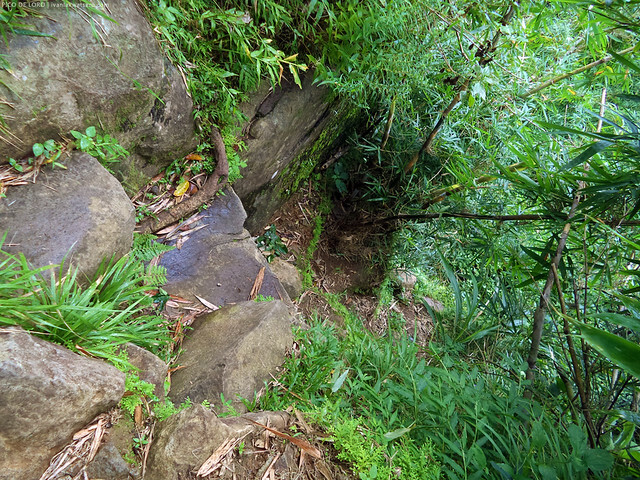 the almost vertical trail to Nasugbu which can be easily found to the right of the rock tower. 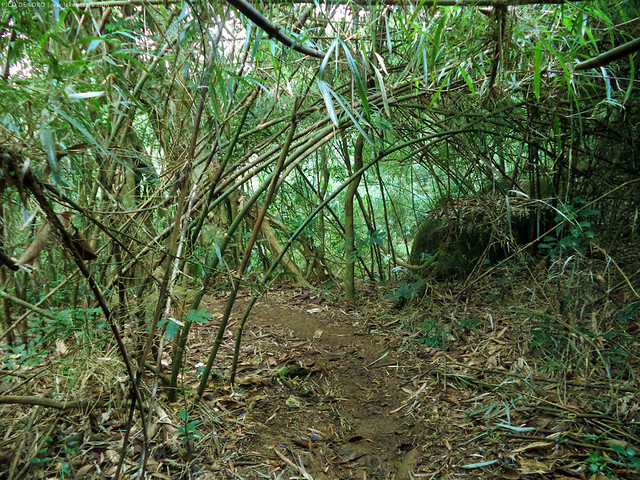 Beyond the bamboo forest, the trail had become more bearable. We paced up in this part of the trail until the first fork was encountered. The rule says that in every forking trail, take the rightward trail. So we did. Same with the other forks we met. Further down, we passed by a river system. Then from there, in no more than 10 minutes, we arrived in a village. A few more minutes walk from the village led us to a firing range where the highway lies just right next to it. 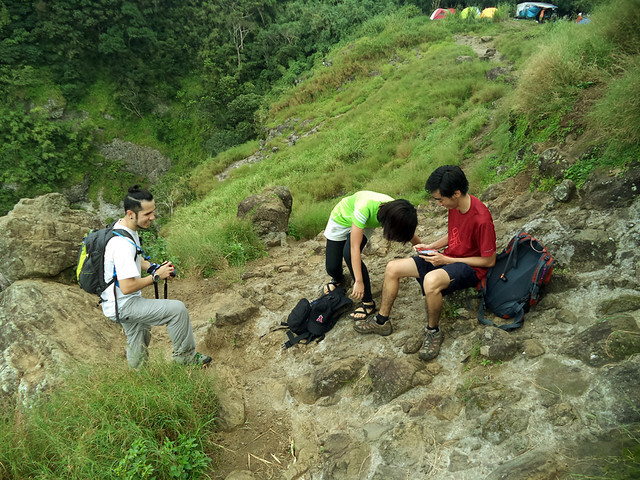 Usually, when hikers complete the traverse, they would travel to Nasugbu town and there, they'll take a bus back to Manila. 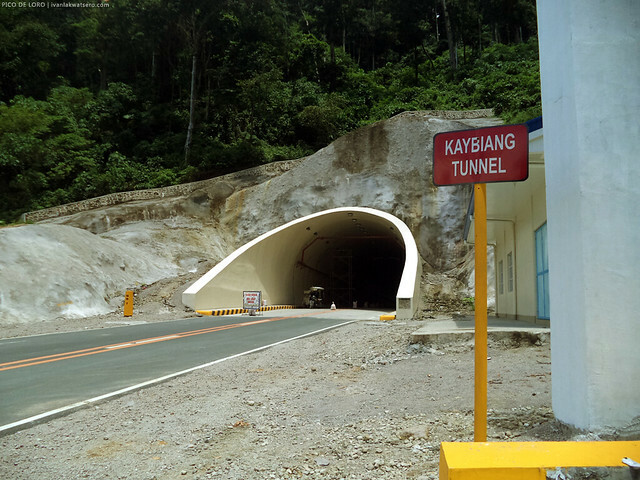 But with the completion of Kaybiang tunnel, it is now also possible to return to the DENR station in Ternate. • It is currently the longest of its kind in the Philippines. Like how long? Three hundred meters! • The tunnel was drilled through a chunk of the foot of Mt. Palay-Palay to finally connect the towns of Ternate in Cavite and Nasugbu in Batangas. • It took 4 years to construct this tunnel. 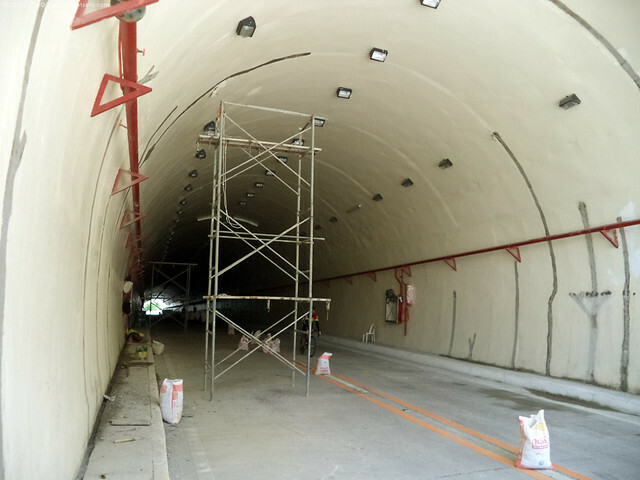 • With this tunnel, travel time from Nasugbu to Ternate, or vice versa, was significantly cut shorter. Vehicles need not to take the long way round via Tagaytay city. Now going back to our adventure..
We wanted also to visit Kaybiang Tunnel that day so we decided to return to DENR station. We had 2 options, either we ride a trike back to DENR, or punish ourselves with another 10+ kilometers walk along the highway. The crazy us opted the latter. It's almost mid-day, we've been walking for almost an hour already, and yet the tunnel still seemed too far. Napapagod na kame! We're not so sure if we still want to push through with the plan to walk it all the way to the tunnel. Mid-day heat from the sun was becoming unbearable. 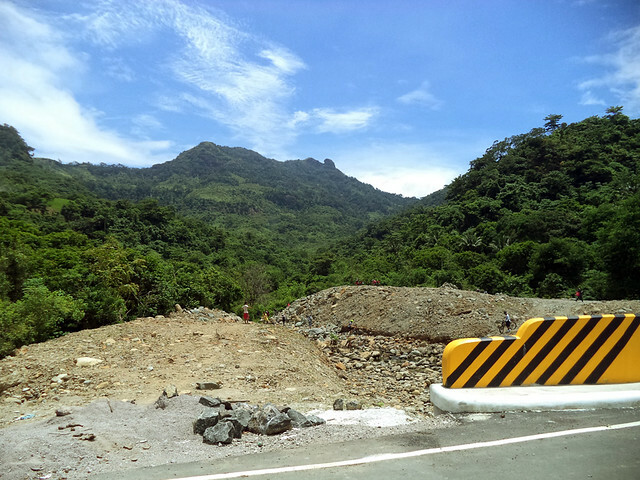 Pico de Loro's west face as seen from the road. 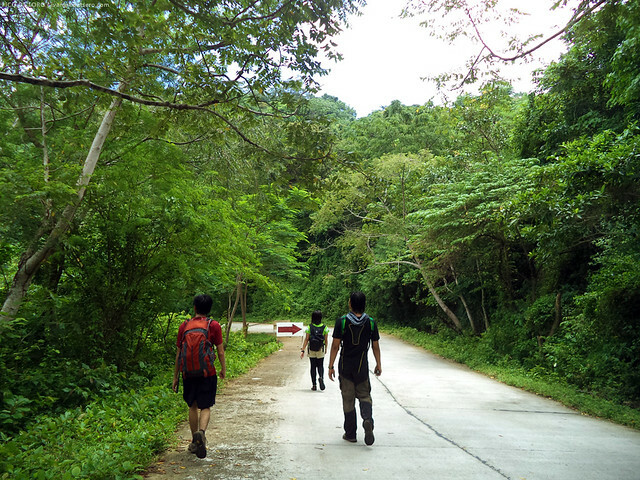 The good thing about this walk is that we were able to see the experience the scenic Ternate-Nasugbu road. Coasts and greenery surrounding the highway makes it an enjoyable walk somehow. When one suggested that we hail the next tricycle that will pass by, everyone readily agreed. So we stopped on the roadside and waited for that trike. Soon after, it came for us. Before we continued back to DENR, we dropped by the tunnel to check it out. I was surprised to see that we're not the only ones being tourists in the tunnel. All the motorists, all the passers by would stop for photo ops. Apparently, the tunnel has evolved into a tourist attraction. cool! We rode the tricycle and asked the driver to drop us here. At last, the Kaybiang Tunnel. with all the works still going, obviously, the tunnel wasn't totally complete yet, but it's already open to light vehicles at least by the time we visited. From the tunnel, the DENR jump-off is just around 3 km away. In a matter of minutes, we're back to DENR jump-off and the day's adventure was completed. 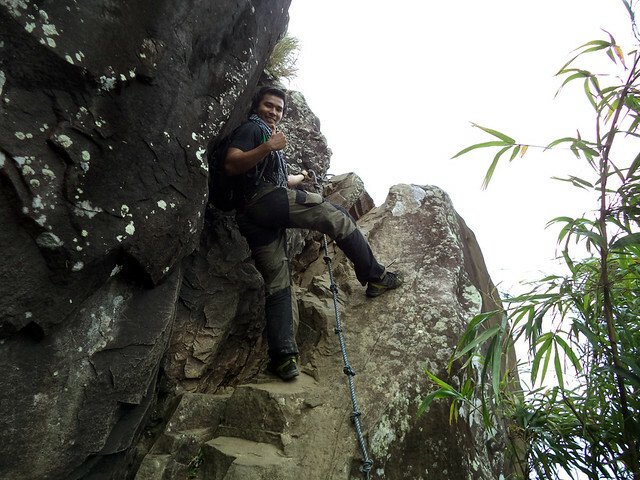 Traverse hike of Pico de Loro was completed, at last! May bonus pang visit sa Kaybiang tunnel. Thanks to all who joined this hike! 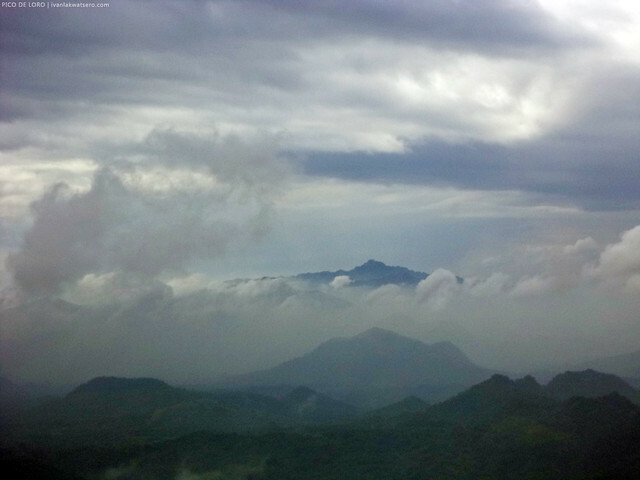 Read also my previous Pico de Loro hikes in the following links. Slow clap.. idol. Galing. You have renewed my interest in this mountain. Maybe, just maybe, I will come back for the trav. Again, awesome photos! sir, magkano po pamasahe sa tricycle from nasugbu side to denr? Sir?may required month po ba ang pag punta sa mt. Pico deloro? .december po sana ang balak namin e.
Sir may required month po ba ang pagpunta dyan? December sana balak namin e.
For mt.pico de loro tranportation service contact us at 09264145429, we're open to all mountaineer 24hrs. Need pa ba ng guide? or kaya naman sya akyatin without guide? Magkano po nagastos nyo lahat lahat? simula sa pagsakay sa bus station? May balak po kasi kami ng friends ko, just in case para di kami maloko. From monolith it's purely descending. always turn right pag may forking trail. May mga trike naman sa hiway kaya pwede na kayo sumakay papuntang kaybiang then pabalik sa denr. sir, mga ilang minutes po kaya ung travel time from firing range pabalik ng denr via kaybiang tunnel by tricycle? Ganito rin po plano namin this july.. May beach nga po ba malapit? How can we go to nasugbu beach after doing a traverse hike at pico? Pwede bang maglakad sa loob ng Kaybiang Tunnel patawid sa kabila ng tunnel? Paano po magcommute papuntang Coastal bus Terminal sa umaga? May bus po ba papunta doon? Galing po kasi akong Cubao. Thank you.